Positive anticipation can quickly turn into anxiety when you are expecting a breakthrough in any area of your life. In this session of The DancePreneuring Studio, I give you 6 tips on maximizing your mindset to work through this process. Step to Success: Just as steps are necessary in a dance, there are steps to success in your life and business. In this segment, we discuss a step in the form of an app, a book, or a concept that will help you move forward. Dancer’s Dialect: The Dancer’s Dialect is the dancer’s language. I share dance terminology across different genres so you can see the correlations in your life and in your business. 1. What makes you happy? What do you love doing? 2. What have been your most enjoyable achievements in life so far? 3. If you could do, be or have anything you wanted, what would you choose? 4. What would you do if you knew you could not fail? 5. You are given a billion dollars. What do you do? 6. Who inspires you? What qualities do they have that you most admire? Lately, in the different classes I am taking, there has been an emphasis on being clear with your movements and knowing the direction that you’re going. I’ve talked about spotting in a previous session that is critical in doing different turns such as pirouettes, pique turns and chaines turns. First of all, so you don’t get dizzy and secondly so you know where you are going directionally. Clarity is freedom whether it’s in dance, life or business. Freestyle Flow: I recently spent some time with my sister and my cousin and we always have great laughs together over the silliest things. They always seem to find these places that have inexpensive clothes. I hardly go clothes shopping but I am going to need to since my clothes are no longer fitting, in a good way, which has been very gratifying. I am not one of those women that love shopping and can just browse which is why it’s good for me to have company if I do go. I am looking forward to the day when I can hire a stylist to help me but in the meantime, there is one look that I know is not me and that is animal prints. Yup, no jungles on my sleeves. Some people can pull it off, but not me. This brings me to the subject of branding and finding colors and styles that work for you online and offline, and I am happy to share an awesome FREE resource from my friend Donna Arrogante. They are geared toward coaches and experts but I know that you’ll also find them helpful for your personal style. 1. There is a bigger reason, even if you don’t know what it is. And you might not find out what it is, and you need to be okay with that. 2. Don’t over analyze, but see if there is something that you can do to better prepare for next time. 3. Focus on the things that you are grateful for, regardless of how insignificant they might be compared to the breakthrough that you’re expecting. 4. Do deep breathing and meditation. 5. Go about your day as you normally would and instead of focusing on what you don’t have, focus on how you can bless someone else. 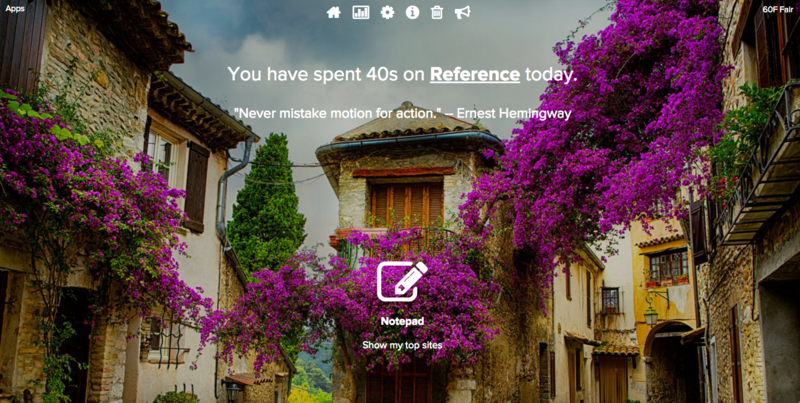 For me, it was checking up on different people and sending quick messages of encouragement. 6. Avoid negative energy. This is critical when you are working through and waiting for your breakthrough. The worst thing you can do is be around people that will speak contrary to the breakthrough and the answers you are looking for. 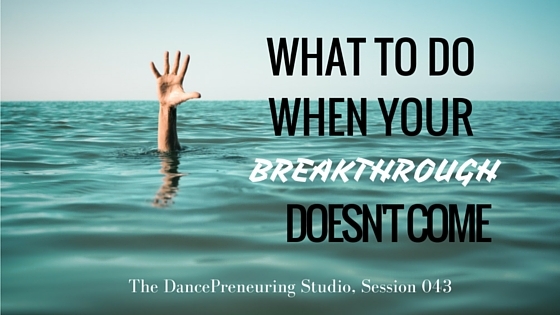 What did you do when you were waiting for your breakthrough? I would be extremely appreciative if you would subscribe and leave your feedback on iTunes or Stitcher Radio. Thanks so much!